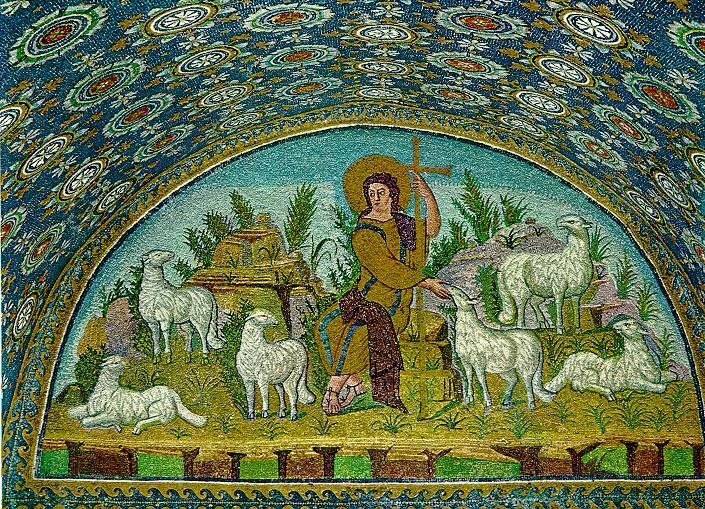 Today is sometimes called “Good Shepherd Sunday.” Jesus, teaching through a parable, describes himself as a shepherd who cares for his sheep, whose sheep follow him because they know his voice. He describes himself as the door of the sheepfold; those who enter through him shall be safe. He has come that people may have life in all its fullness. The community of Acts shows the fruit of a communal devotion to Jesus. The community devotes attention to the means through which its identity is formed and held: teaching, fellowship (koinonia), eating together and prayer. The portrait in Acts of the community of faith is, in many respects, idyllic. But it is not an improbably reality. We cannot fathom the promise of life abundant. We must simply hear it over and over and live together inside it as best we can. The risen Christ opens the way to abundant life. He anoints our heads with oil and guides us beside the still waters of our baptism. Each Sunday he spreads a feast before us in the midst of the world’s violence and war. We go forth to be signs of the resurrection and extend God’s tender care to all creation. How would you describe the relationship between the shepherd and the sheep in John 10:1-10? What does this suggest about our relationship with Jesus? How do you hear and recognize the voice of Jesus in your own life? As you read the familiar words of Psalm 23 for today, how are the life and ministry of Jesus reflected here? As followers of Jesus, how are we called to be shepherds for others? This entry was posted in Easter and tagged Acts of the Apostles, Easter, Good Shepherd Sunday, Jesus, Parables, Psalms. Bookmark the permalink.